2017 / Oil on Canvas / 31" x 41.5"
Tae Hamm is an artist based in Atlanta, Georgia. He obtained a Bachelors of Art’s degree in Business Marketing from Clark Atlanta University in 2016. Hamm's preferred medium is oil paint with minor use of acrylic. Tae Hamm is only beginning to participate in art shows, despite being enrolled in Progress Village Middle Magnet School of the Arts at the age of 12, but so far he has had great success. In 2016, the artist debuted his work for the first time in Washington, D.C. during the Operation Consent Exhibition, a project within a community based art collective, I Cannot Complain. Since then, Hamm has been actively pursuing more art exposure while growing and strengthening his style and technique. 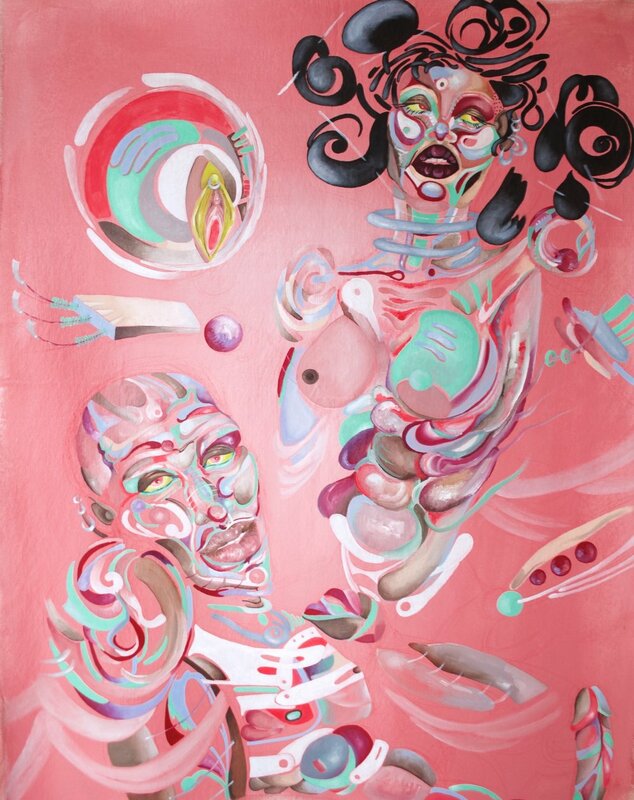 Hamm uses imagery in his art that typically challenges hyper-masculinity and highlights strong feminine figures. His style typically partitions sections of the human anatomy to reveal secrets within and of his muses. Hamm balances cool and warm colors with elegance and ease in an effort to give the viewer a controlled sense of excitement.